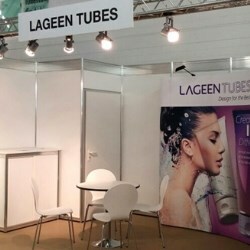 LageenTubes presented its latest cutting edge state-of-the-art tube decoration at the PLMA, Amsterdam and at CosmeticBusiness, Munich. 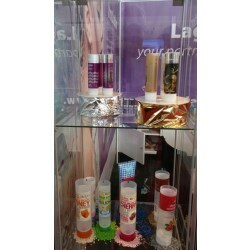 The company which is known worldwide for its premium quality tubes showed off its advanced decoration capabilities at these two, well known European packaging events. 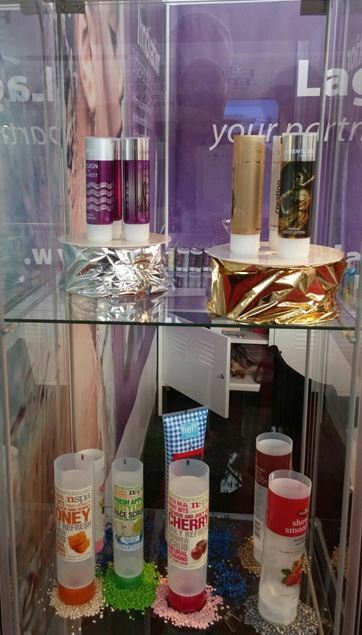 Visitors to the exhibitions were highly impressed by the outstanding metallic appearance of the plastic tubes. Customers and prospects alike could identify the many advantages of the seamless extruded tube which mimics the appearance of a laminated tube but benefits much better memory and a nicer feel than that of the laminated tube. They were further impressed by the lack of side seam and the 360º print which enables the product to stand out overwhelmingly on the shelf. In addition to the metallic tube, the company's latest photo image printing capabilities in Flexo CMYK were praised by visitors and competitors alike.